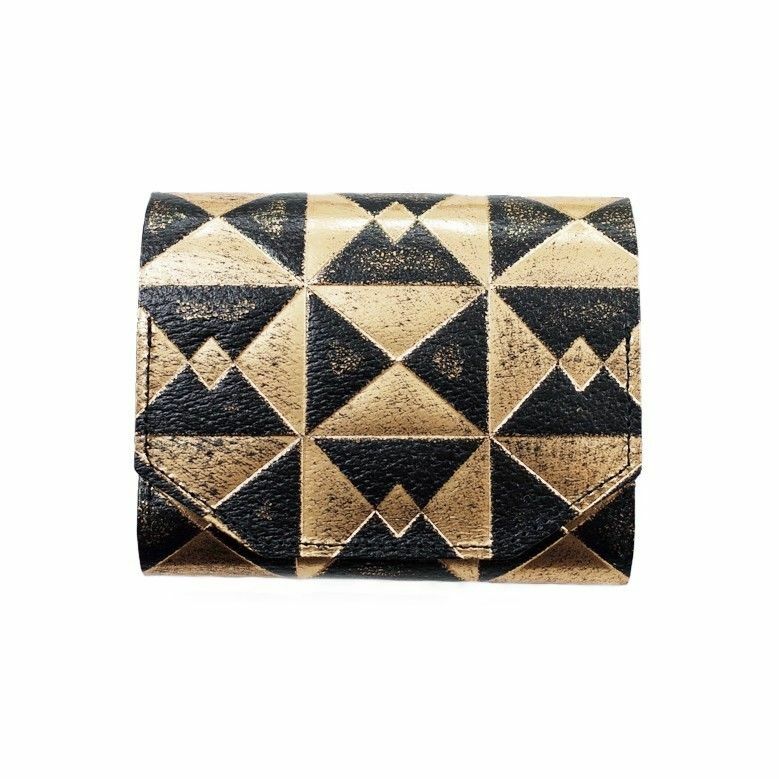 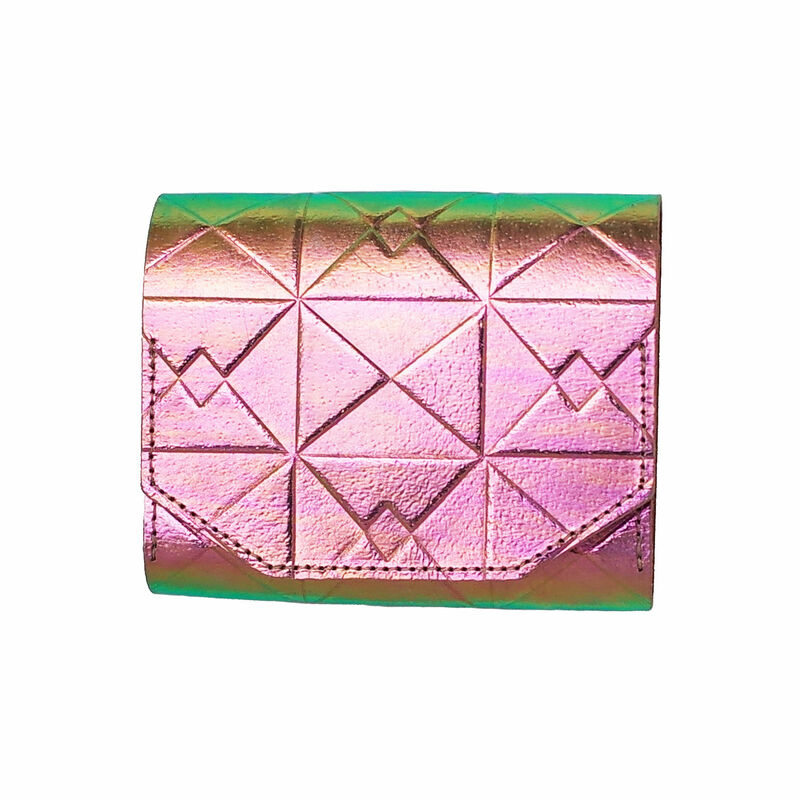 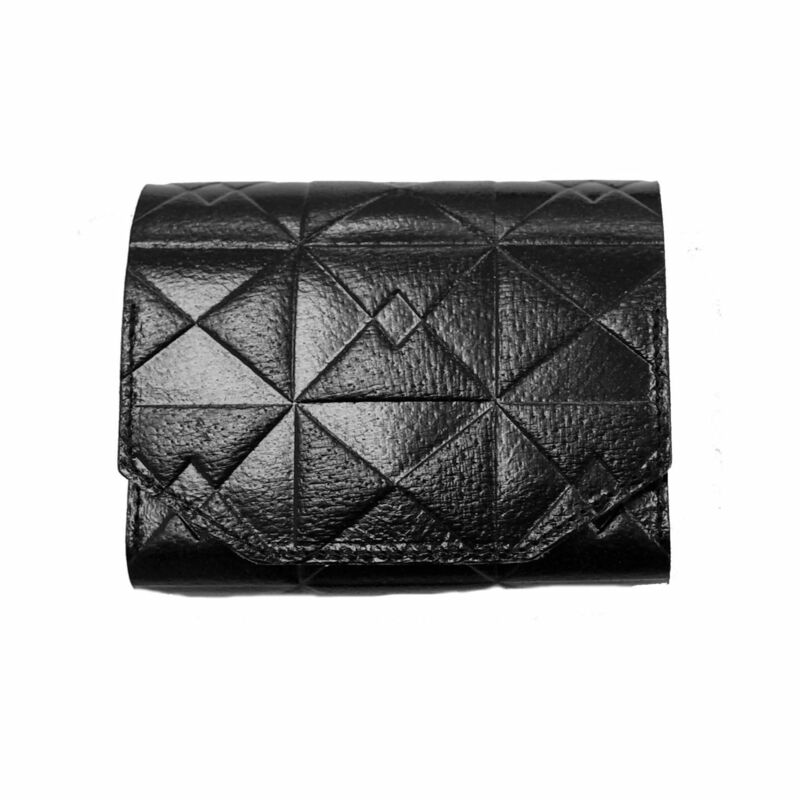 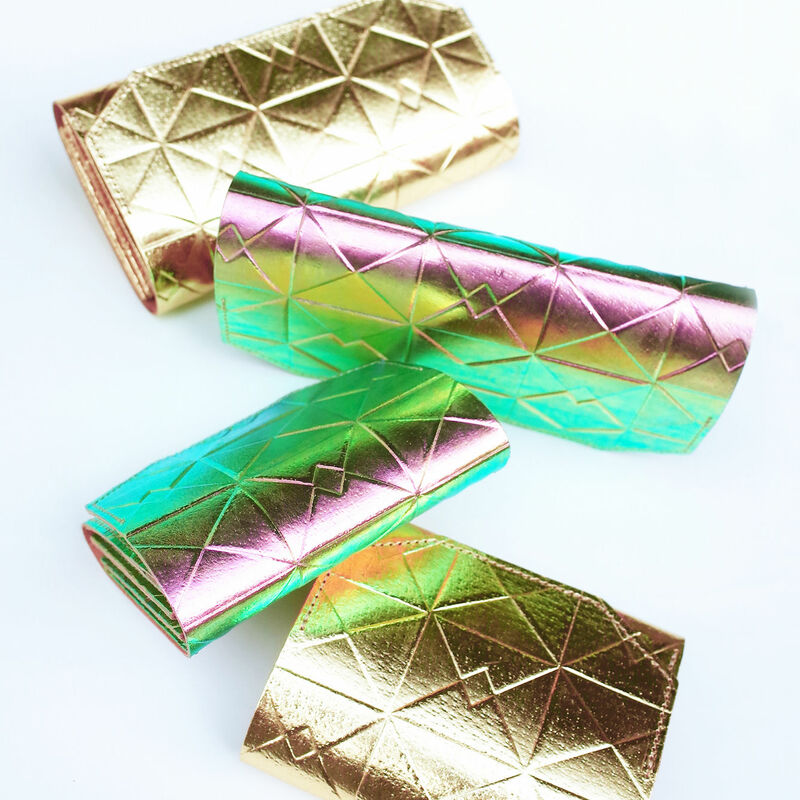 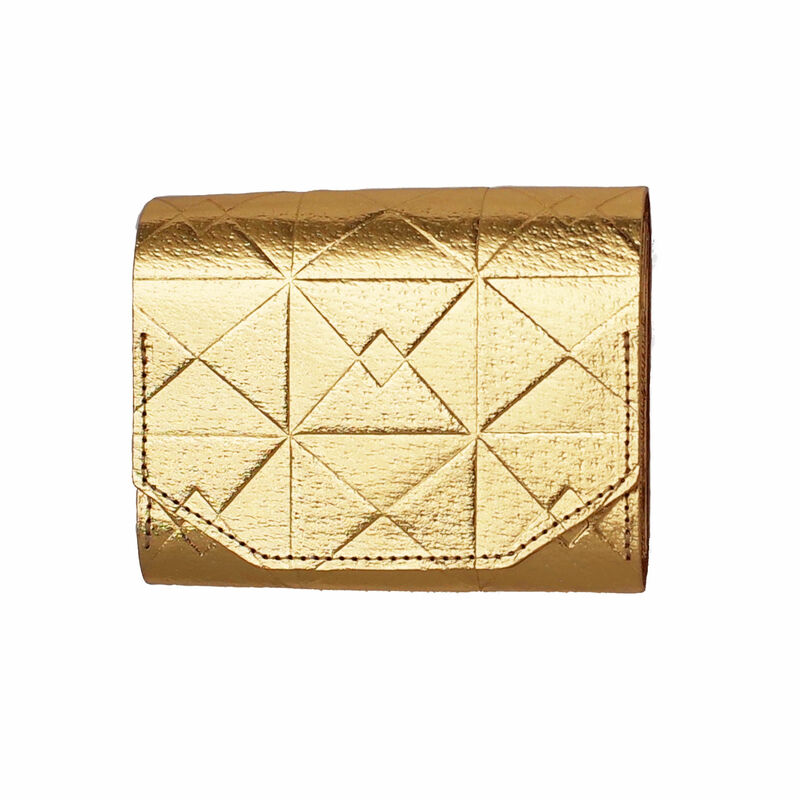 A stylish mini wallet with geometric pattern. 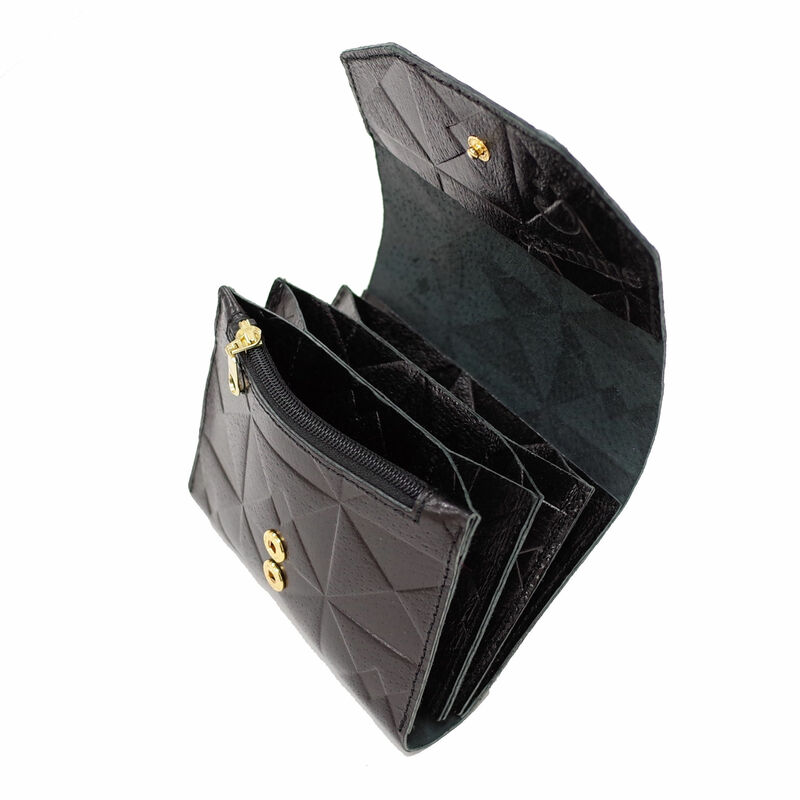 You can put the bills folded half, some cards, and coins. 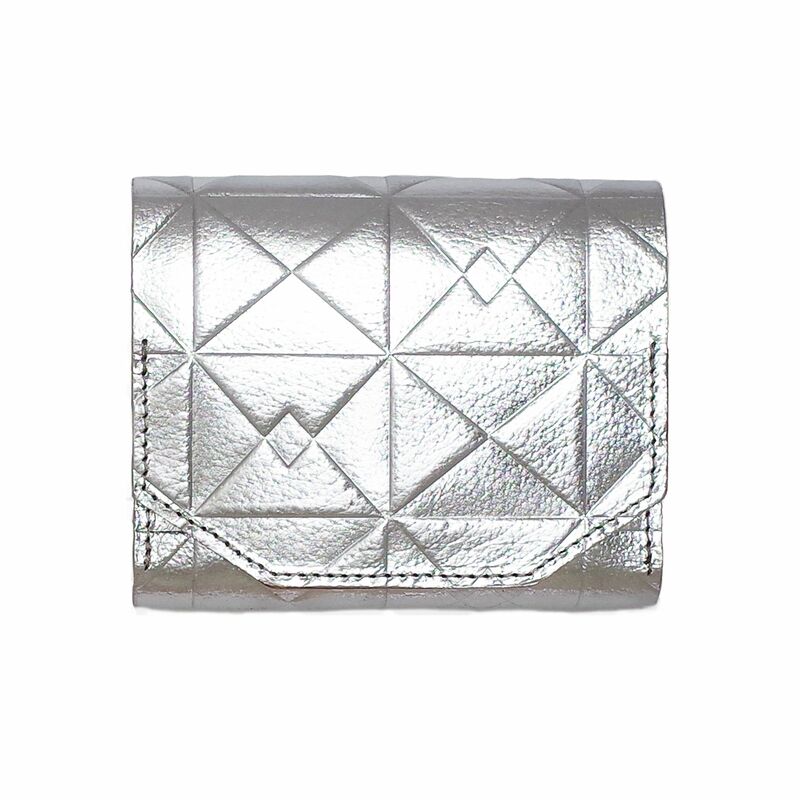 This wallet can contain a lot.